Red Sox fans know how good J.D Martinez has been all year long, but it seems that he doesn’t get quite as much admiration outside of Boston. Mike Trout of the Angels is still considered the favorite to bring home MVP honors, with Mookie Betts following close behind. J.D is likely third in the race, but doesn’t seem to get the same level of consideration for the award. 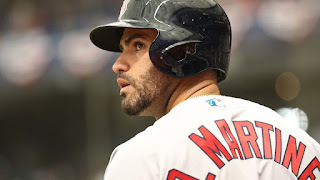 Trout and Betts might be the current face of baseball, but Martinez is quietly making a strong impact on a dangerous Red Sox team. J.D currently is batting .323 with 31 homers and 85 RBI’s. This puts him ranked 3rd, 1st, and 1st in those categories respectively. He leads the league in homers, and has a whopping 11 more runs batted in than anyone else in baseball. If he continues at this current pace, he would end the season with around 50 homers and 135 RBI’s. That would be the most RBI in a year by an American League player since 2013! He is also currently the most likely player to have a chance at a Triple Crown. Although J.D is having a stellar season offensively, his less than average defense and frequent usage as a designated hitter does diminish his possibility of taking home the hardware. Martinez is not the strongest of fielders when he does play the outfield, and is often used as a designated hitter so that the Sox can utilize defensive superstar Jackie Bradley Jr. J.D has a current defense WAR (wins above replacement) of -.9, compared to .8 for both Betts and Trout. Defense is a large part of the game, and designated hitters have a disadvantage when it comes to voting. This was most recently demonstrated in 2016 when David Ortiz finished only 6th in MVP voting despite hitting .315 with 38 homers and 127 RBI’s. Martinez also has to compete with great seasons from both Trout and Betts. Trout is heralded by many (including Bryce Harper) as the best player in baseball, and shows year after year why he is considered as such. He is a once in a lifetime player who looks like he could be a perennial MVP candidate for years to come. He is currently hitting .305 with 26 HR’s and 54 RBI’s. Although all three numbers are lower than Martinez, Trout is better at getting on base (.457 OBP vs .387 OBP), steals many more bases, and has a much stronger defensive impact. Mookie Betts is currently leading the lead in average by a wide margin, hitting .351 to go along with 24 HR’s and 52 RBI’s in only 83 games played this year. 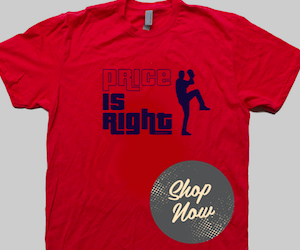 Mookie boosts his candidacy with base running ability and incredible plays in the outfield night after night. Martinez and Betts both have the advantage of playing on a contender, while Trout is likely missing out on the playoffs once again. One factor that doesn’t have much effect on who wins the actual award is leadership. 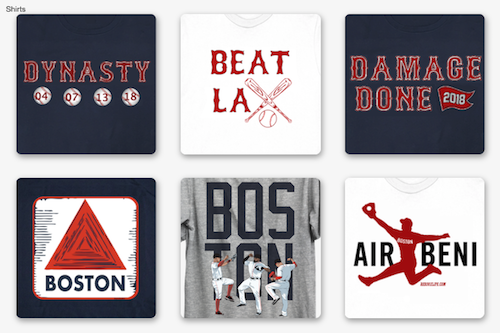 By all accounts, J.D has quickly emerged as a clubhouse leader for the Red Sox. His complete dedication to his hitting mechanics and countless hours spent watching video have helped transform him into a focused hitting machine and made him a strong example in the dugout. His dedication to his craft has enabled him to become an approachable figure in the Red Sox dugout, and has resulted in him taking up a strong leadership role in providing advice and mentorship for the Red Sox’ young players. He has provided veteran leadership for younger players such as Rafael Devers and Christian Vazquez, and has even been credited with helping Jackie Bradley Jr find his groove over the past couple of weeks. Regardless of the final vote, J.D Martinez has endeared himself to Red Sox fans and has already helped this team with much more than his on field individual contributions. J.D might not be the name everyone thinks of when MVP considerations come up, but his impact is far more reaching than it seems. He might not end up with an MVP accolade in 2018, but his contributions to the Red Sox are a huge piece of the puzzle which makes this year’s team so very special.